Artists actively creating portraits. Membership includes: opportunity for exhibit, mailing of portrait related information; reduced rates to lectures and demonstrations; opportunity to qualify as an Accredited Member; invitation to attend meetings and serve on committees; and the right to vote and hold office. General Members (currently active with dues paid) may apply for Accredited Memership by submittiing 3-5 examples of work for acceptance by the Screening Committee. 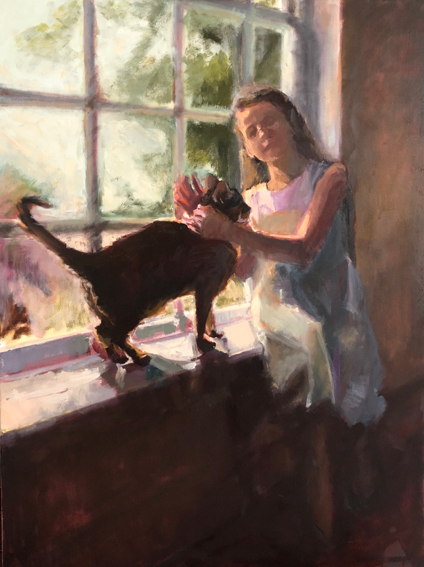 In addition to the benefits of General Membership, Accredited Members may participate in Society sponsored exhibitions and may use Maryland Society of Portrait Painters or MSPP after his or her signature. You must be a General Member when applying for accreditation. Click on and download accreditation application and send to our Maryland Hall address. Please contact info.at.mspp@gmail.com with any questions.